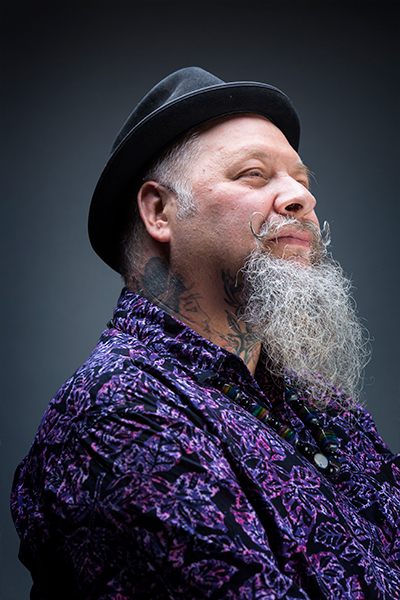 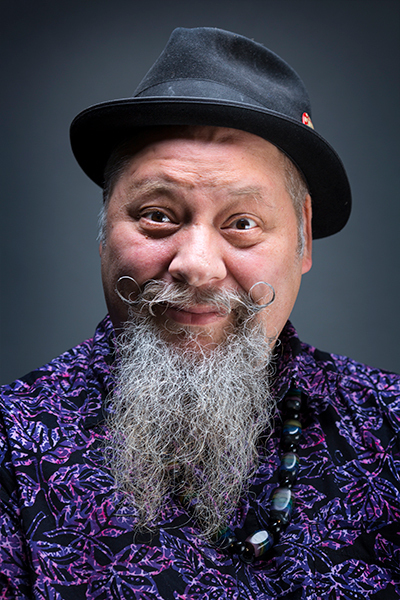 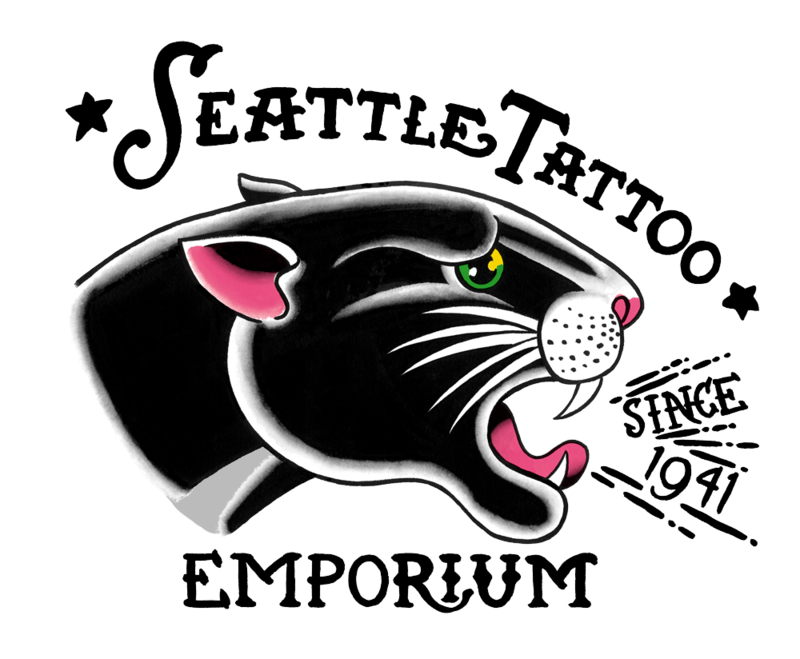 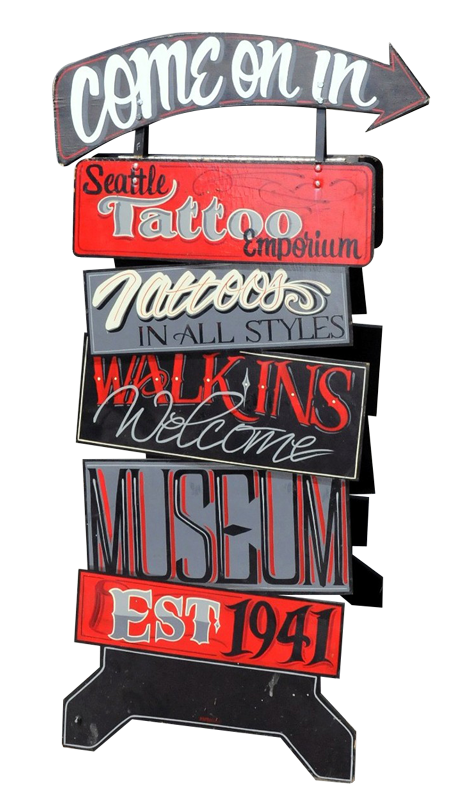 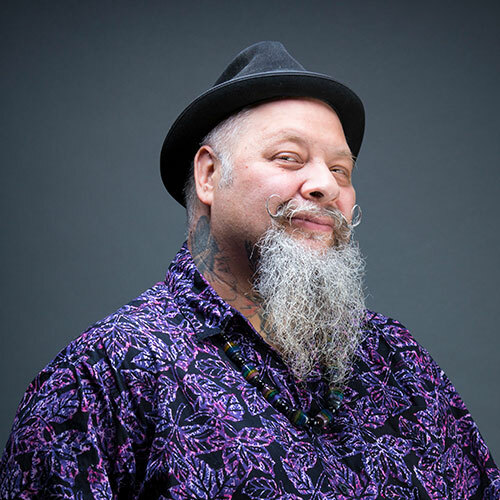 Hubba has been tattooing since 1985 and worked at Seattle Tattoo Emporium since 1990. 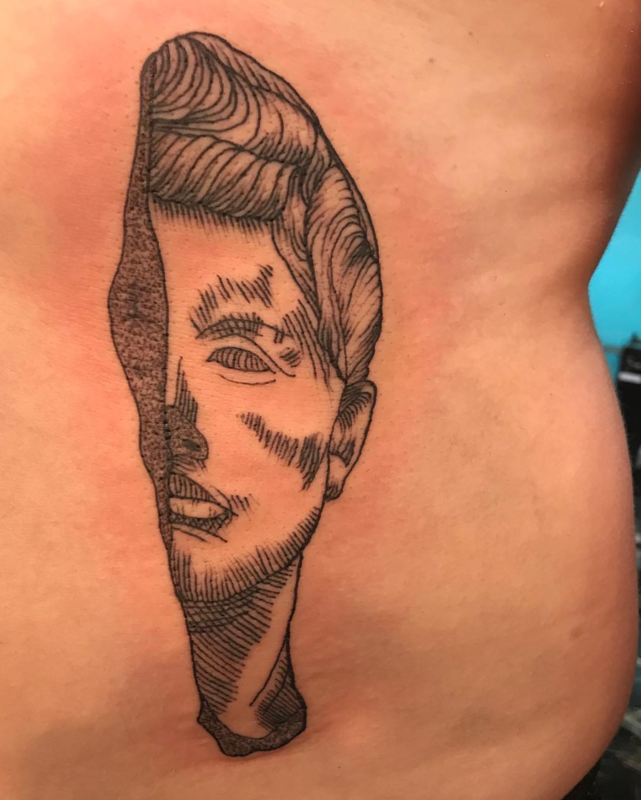 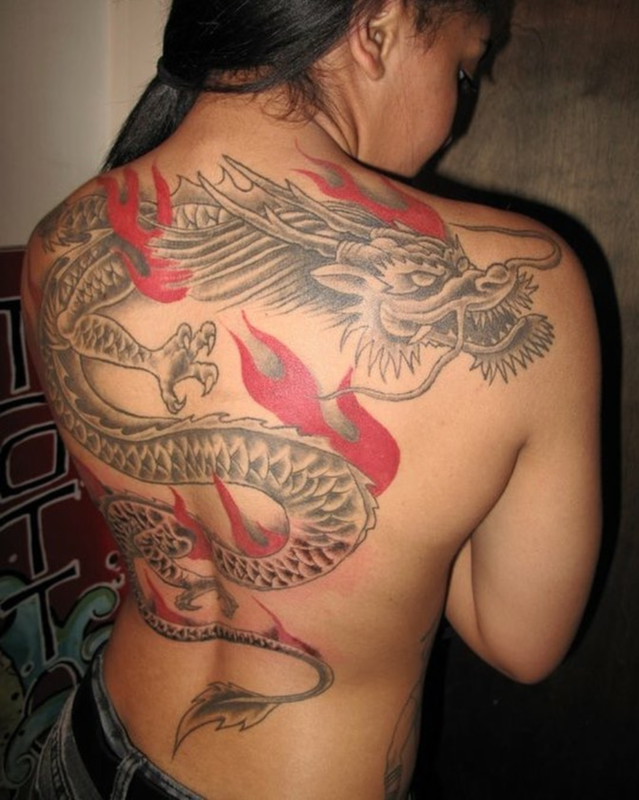 He loves tattooing because it is art with a sordid past. 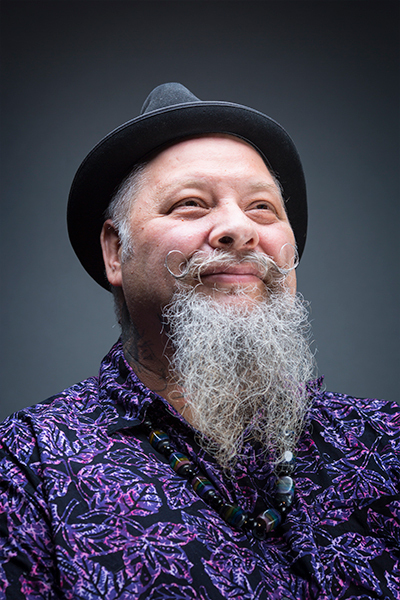 Some fun facts about Hubba: his artwork has shown across the country, fronted the band, Head Cheese, is an ordained minister, disc jockey, collector of vintage gas station artifacts (which landed him a spot on the hit TV show American Pickers – Season 17 episode 3), and is also curator of quite possibly the largest collection of vintage roller rink patches and skate box labels on which he hopes to author a book in the near future. 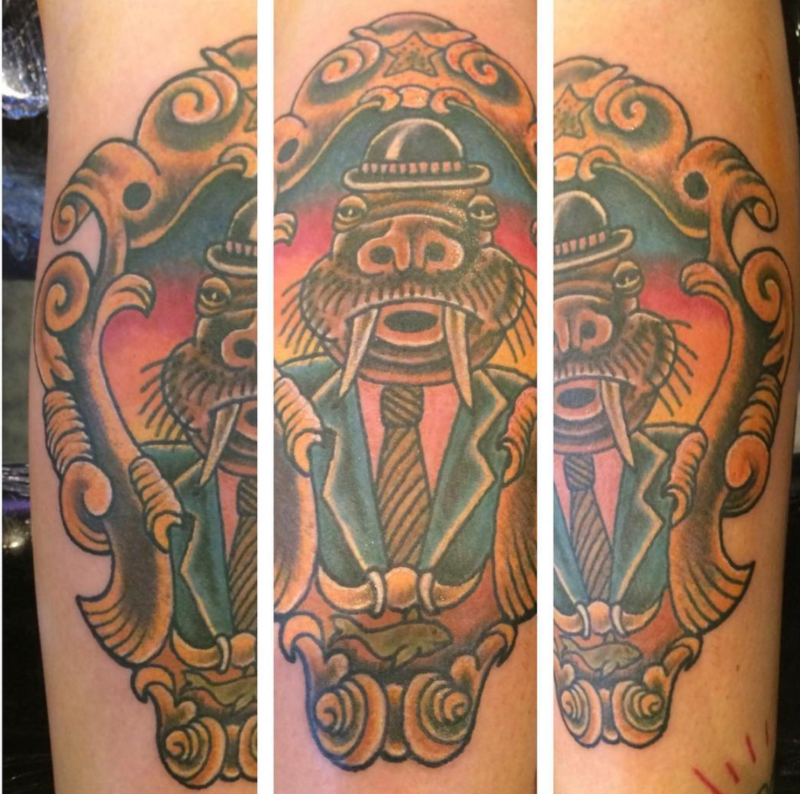 Hubba’s friendly disposition and patient approach to each tattoo is great for newbies and seasoned veterans alike. 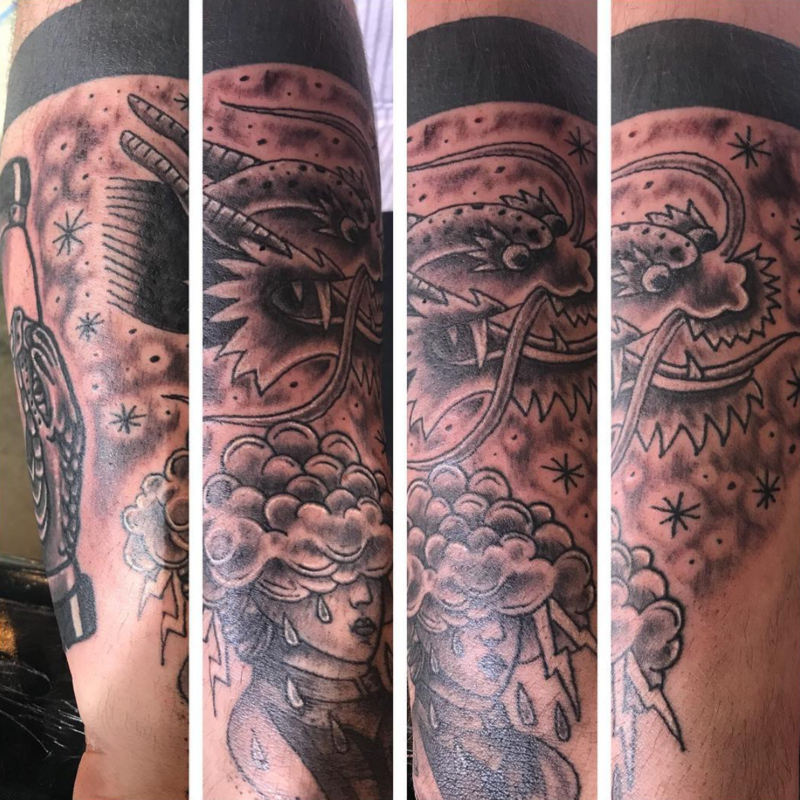 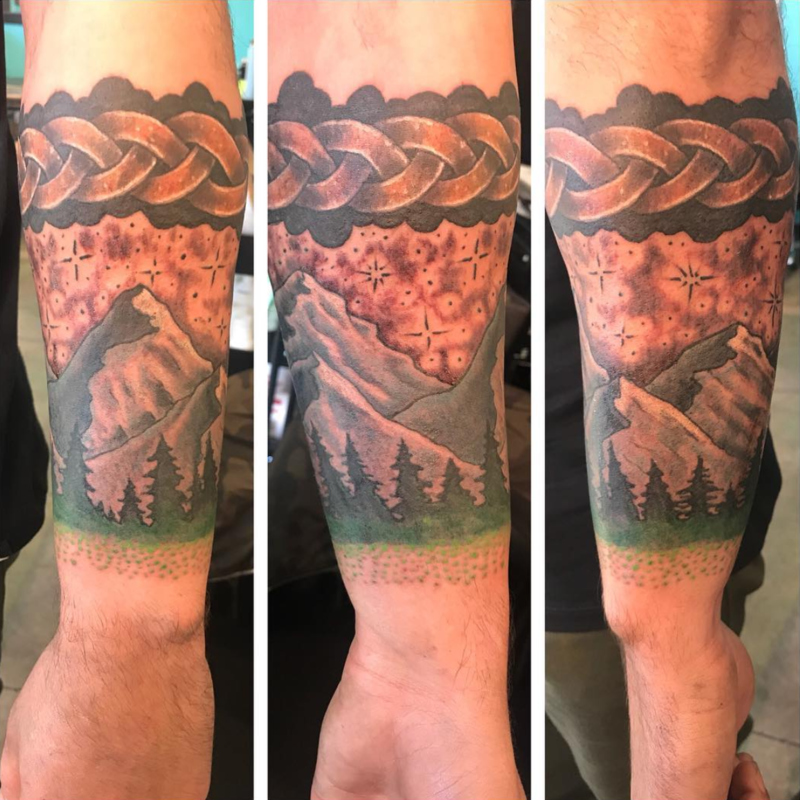 He prides himself on making his clients comfortable and at ease- sprinkling humor and lightheartedness throughout the tattoo session. 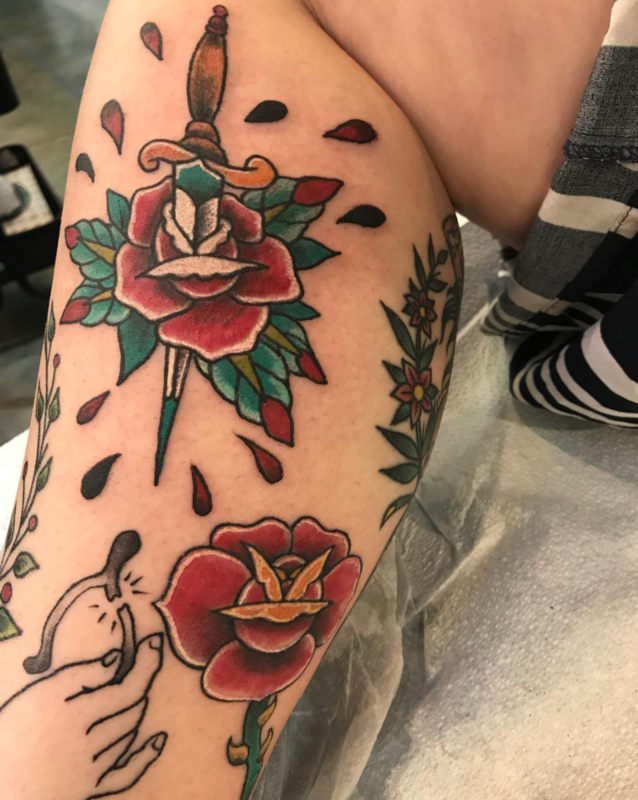 Electric Rose Tattoo in Olympia, WA.